Why does Cynthia Ozick, at 88 an undisputed giant of American letters, still seem obsessed with fame? Like nearly everyone else who appreciates Cynthia Ozick’s brand of genius—and I don’t mean “brand” in the 21st-century sense, but rather the brand plucked from the fire, searing one’s lips into prophecy (the distinction between the two neatly encapsulates Ozick’s chief artistic fascinations)—I’m not the type of person who is a fan of anything at all. As something close to Ozick’s ideal reader, I am skeptical of the entire concept of fandom, religiously suspicious of the kind of artistic seduction that would make one uncritical of anything created by someone who isn’t God. But I am nevertheless a fan of Ozick’s, in the truly fanatical sense. I have read every word she’s ever published, taught her fiction and essays at various universities, reviewed her books for numerous publications (occasionally even the same book twice), written her fan letters and then swooned over the succinct handwritten replies in which she graciously gave me a sentence more than the time of day, and even based my own work as a novelist on her concept of American Jewish literature as a liturgical or midrashic enterprise (a stance she has since rejected, though too late for me). As a young reader I was astonished by what she apparently invented: fiction in English that dealt profoundly not with Judaism as an “identity,” but with the actual content of Jewish thought, at a time when almost no one, and certainly no one that talented, was quite bothering to try. Today I remain utterly seduced by the dazzling architecture of her stories, the distilled clarity of her sentences, and the urgency of her arguments. But my love for her is haunted by one point of strange discomfort: her obsession with fame, which in one form or another suffuses nearly everything she writes. (In this collection she loudly clarifies that she really means “recognition,” since “Fame is fickle”—but we knew that. Fine, then: high-end, enduring fame.) Her early masterpiece, “Envy: Or, Yiddish in America,” is a novella-à-clef about Isaac Bashevis Singer’s cheap glamour overshadowing better-yet-untranslated writers; her novella “Usurpation (Other People’s Stories)” involves, among much else, a fable about a magic crown that grants its wearer eternal literary fame (spoiler: this isn’t a good thing); The Messiah of Stockholm is about the forgotten genius Bruno Schulz and failed writers and charlatans vying to steal his legacy; Heir to the Glimmering World includes a scholar and a scientist both robbed of their greatest discoveries, forced to become wards of a famous-yet-thoughtless millionaire . . . I could go on, but instead I will simply point out what Ozick’s entire oeuvre brilliantly enacts: Despite the underlying assumption of Western civilization that we owe our world to the genius of Great Men (yes, men) whose names still resonate today, the truth is that merit and credit are only rarely linked. This sad truth is genuinely fascinating, because it unearths our most buried questions about the purpose of living as mortals in a world that outlasts us. But it also can become a perverse obsession for creative artists of every stature, because, as conventional wisdom and the degrading experience of reading Amazon reviews suggests, nothing good comes of it. Or does it? The thought that this obsession with fame (or “recognition”) would still affect someone as titanically accomplished as Ozick is, on its surface, dismaying in the extreme. But Ozick’s interest in this subject has always been civilizational rather than personal. And as her newest book, Critics, Monsters, Fanatics, & Other Literary Essays, makes clear, Ozick’s tendency to run a live wire of envy through her work doesn’t play the same role now as it did earlier in her career. Forty years ago, Ozick’s writing—both her fiction and her essays—was deeply Jewish, less because of its subject matter (though yes, that too) than because of its loud claim that art itself was a form of idolatry and fame even more so. This prizefight between imagination and obligation—once labeled by Matthew Arnold as Hellenism and Hebraism—was a fight worth having in 20th-century American culture, where art and literature really did occupy a quasi-sacred public space, a time, as Ozick recalls, “when the publication of a serious literary novel was an exuberant communal event.” But through her career-long evolution as an artist and the simultaneous coarsening of American intellectual life (about which more, shortly), Ozick’s fame-obsession has shifted, taking root once more in a Judaic paradigm, but a different one: the Jewish historical consciousness that gives the lie to American culture’s vain worship of the new. In this latest essay collection, Ozick is as marvelously demanding, harrumphing, and uncompromising as she has always been; her curmudgeonly persona is by now so familiar that one imagines that she has been 88 for her entire life. But this collection, mostly composed of previously published essays that together take on an almost narrative trajectory, nonetheless feels different. Gone is the bitter bite of envy that once flavored her every public word, whether on behalf of her characters, the wronged or underappreciated authors she ingeniously lauded, or rarely (in the occasional autobiographical essay or interview) herself. In its place is a wonderment at the ravages of time, but also an awestruck awareness of what one gains when one is doubly blessed with both a long career and that profound historical consciousness: a rare and vivid vision of what lasts, and why. These names, Ozick explains, are not merely dead writers whose stars have faded. They are all people with whom Saul Bellow exchanged letters, the point being that only Bellow himself remains immortal. “Well,” your inner critic counters gloomily, “just remember that when you’re gone, your books will suffer the same fate as all the rest. They’ll be relics at best. More likely, they’ll just languish in obscurity.” To which I have to say: So what? I won’t be around to care. The real trouble lies not in what is happening, but in what is not happening. What is not happening is literary criticism . . . Novels, however they may manifest themselves, will never be lacking. What is missing is a powerfully persuasive, and pervasive, intuition for how they are connected, what they portend in the aggregate, how they comprise and color an era. But in most of this volume the chief operating critic is Ozick herself, applying her uncompromising standards to the likes of Auden, Kafka, and others. These essays are sheer intellectual thrill rides. They have narrative arcs, settings (Kafka’s insurance office, Trilling and Whittaker Chambers at Columbia College, Auden at the 92nd Street Y), and best of all, characters—not merely the authors, but also the biographers and critics who shape our visions of these authors, along with, occasionally, a younger and more awestruck Ozick herself. In these, she is pervasive, and persuasive, in the credo that has emerged throughout her career: against idolatry, yes, but also in favor of the particular, context, rootedness, the profound archaeological wells from which no writer can be removed without removing his or her greatest powers. 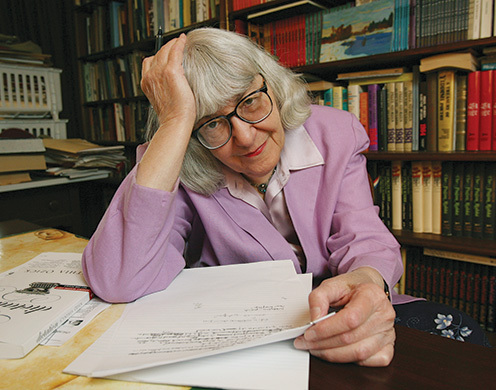 For Ozick herself, that archaeological well is not only Anglo-American literature, but the far deeper well of Judaism. While she doesn’t quite spell it out here, Ozick’s idea of criticism being essential to literature is itself a claim with its oldest roots in Torah study. In a passage in Deuteronomy that directly denies the rhapsodic or incantatory power of scripture, Moses informs the Israelites that the Torah “is not in heaven…neither is it beyond the sea…No, the thing is very close to you, in your mouth and in your heart.” The rabbis later understood this passage to mean that interpreting Torah was itself an indispensable component of Torah, that God—or a Hellenic-style muse—is not going to show up and provide an answer to the text’s many questions. Therefore, careful readers are obligated to not merely read, but consider, compare, situate, interpret. In other words: without the critics, incoherence. And this brings us to the central Jewish idea that drives this book, along with so much else Cynthia Ozick has given us, which at last explains her enduring fascination with fame: Without critical reading, no eternal life. The blessings recited at public Torah readings announce that the book itself, rather than some mystical promise, is “eternal life planted in our midst,” the Tree of Life that had been walled off in Eden returned to us—not God, a prophet or an artist, but a book. As Ozick admits here in an essay that is less argument than dream, “[W]riters are hidden beings. You have never met one.” The fact that Ozick’s reputation is likely to outlast most of those names on her own long lists of the dead is, in the end, beside the point. What Ozick has sought all along, it turns out—not for herself but for literature, not for writers but for readers—is not fame, not “recognition,” not even really “lastingness,” but an assurance of ongoing purpose and meaning, something perhaps better described as redemption. In the grand arc of her career, itself a gift to every writer and reader fortunate enough to encounter her endlessly demanding words, she has achieved it. Dara Horn is a scholar of Hebrew and Yiddish literature and the author of four novels, most recently A Guide for the Perplexed (W.W. Norton & Company). An excellent and fascinating article. I absolutely agree that poorly framed criticism is at the heart of the problem. But I think it goes deeper than that. When I was young (I'm 61), it was common currency that educated people "ought" to read serious literature (and go to art galleries, and listen to classical music..), and so they did. But that's no longer true. Relativism and its various malign offshoots has done for "the canon". So my nephew, 30 years younger than me, who was studying English Literature at the time, told me aggressively that only elitist old people thought that some kinds of books (ie, literary books) were better than others. Ultimately, people read these books because they believed in something called Western Civilization. Do the young any longer believe in it? And if they don't, why would we expect a critical tradition rooted in that civilization to survive? One other point, though: it's premature to think that Ozick's list of the no-longer-read is the last word on this. History tells us that writers (even Shakespeare, for example) are frequently dismissed and forgotten in the immediate aftermath of their death, only to be revived later. Blame the wheel of fashion, which will turn again, at least for some. Wonderful article -- elegant and informative. It makes want to read both more of Horn and Ozick. But please, tell me, what kind of powers does Cynthia Ozick have that she can determine anyone else's reading habits? Care to make a case for Bellow's significance? Go ahead, cite his ideas and the joy in reading his works. But to do so at the expense of others is petty and ill-informed. now reads The Road to Wigan Pier​​​? that all norms have become deranged. that what he chose to prophesy,. of hell to which we're on the road. Why the realists are being unrealistic about American power in the Middle East. 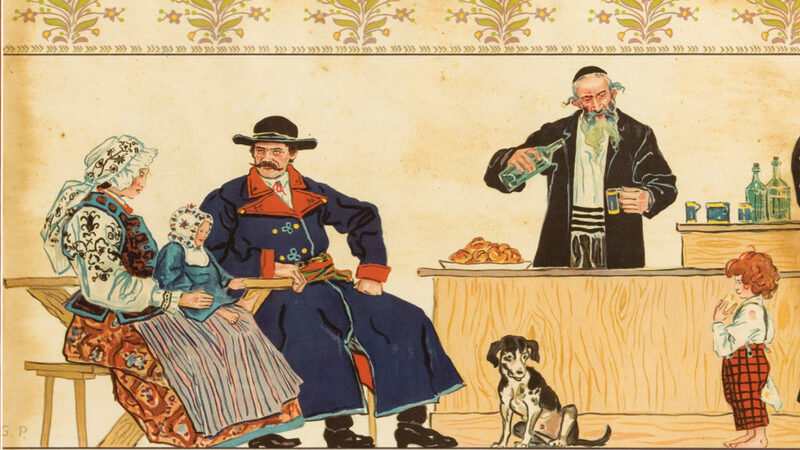 In 1818, a 23-year-old university student named Leopold Zunz published a 30-page essay with the modest title “On Rabbinic Literature.” He could scarcely have imagined his impact.